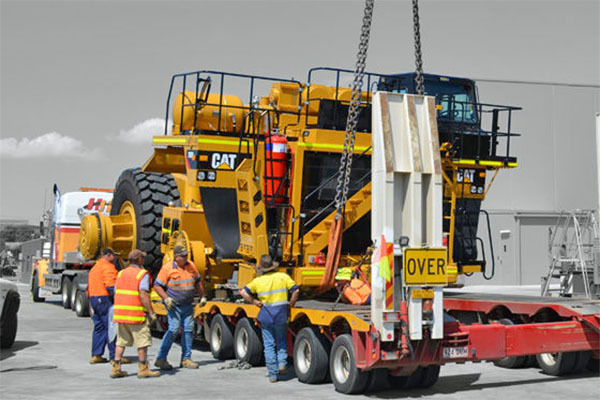 A contractor committed to providing the best possible earth-moving solutions has won a major tender for part of a $640 million metal project in northwest Queensland. Bendigo-based Andy’s Earthmovers (Asia Pacific) recently secured the mining contract for CuDeco’s Rocklands Group Copper Mine, 15km west of Cloncurry. Andy’s is tasked with resuming the first part of mining the Las Minerale Stage-2 Pit. About 1.2 million tonnes (Mt) of ore and 3.8Mt of waste will be extracted from the pit, to a reduced level of 145m – some 35m to 40m below the current pit floor. As part of the six month fixed-term agreement, CuDeco will provide all management and technical control of the mining contract. Mining is expected to start in mid-March 2017 but hinges on the Queensland Department of Natural Resources and Mines’ decision on whether to lift regulatory suspension on exploration work for various health and safety breaches on CuDeco’s part. The proponent is not fazed by the suspension, and is even considering whether to award the phase two Rocklands mining contract to Andy’s based on satisfactory mining operating performance. Phase-two will be a continuation of mining ore and waste from the remainder of the Las Minerale, Rocklands South, Rocklands South Extended and Rainden pits. “We welcome this opportunity to have Andy’s Earthmovers as partner with the CuDeco team,” a CuDeco spokesperson says. CuDeco is hiring for a small number of roles, including an instrumentation technician, plant shift operator, site training advisor and payroll admin officer.